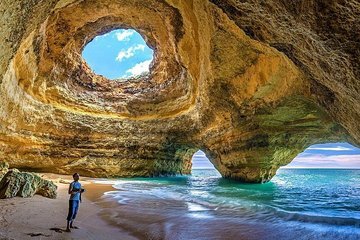 See what makes the Algarve coast a top holiday destination for Europeans on an all-inclusive, 3-day trip to Portugal’s southern shores. Depart Lisbon with a private driver and guide, arriving in just a few hours to a landscape of whitewashed villages, sandy beaches, and spectacular sea views. All the details are arranged for a stress-free getaway, from hotel stays to meals in traditional taverns and fresh seafood restaurants.